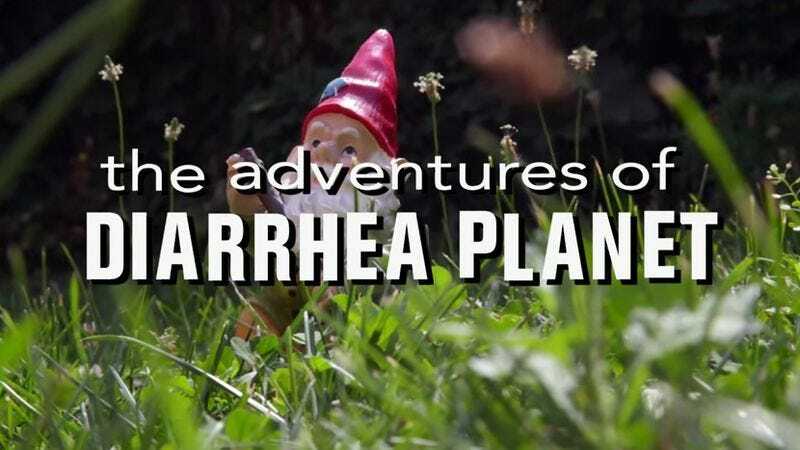 Fans of the Nickelodeon show The Adventures Of Pete And Pete will surely like the new video from Nashville rockers Diarrhea Planet. Though the clip for “Platinum Girls” isn’t (weirdly enough) the first music video to reference the show, this Nylon Magazine-produced clip (directed by Blair Waters) has cred, considering it was shot at one of the homes featured on the ’90s classic. The video also features Mr. Tastee, a recreated Petunia tattoo, and the show’s classic leaf blower face scene.